​Let New York Capital Local SEO guide you through the process that will drive more traffic to your website. You can have the most beautiful site on the web, but if no one sees it it is worthless. Even if you do not have a website yet, New York Capital Local SEO has the marketing experience to get your phones ringing. Our NY Capital Leads program can be tailored to any niche or market. As a local lead generation company, we have tools to help secure business leads in an efficient manner. Our bag of tricks is bottomless. We are so confident in our Local Marketing Skills that many of our programs offer your first month as a free trial. We will set up ad campaign at no charge to you. You invest a few hundred dollars to cover ad expense and watch the leads roll in. There is no hype or strong arm tactics to get you to continue if you are not fully satisfied with the results of your trial. We know what to do to get traffic to your website. There is more than one way to produce the kind of results you have always dreamed of. We provide you the means to get the most affordable leads whether it is for local sales or any service based business niche including plumbing, electrical, roofing, tree & lawn care, cleaning & restoration, yoga & fitness, home care, HVAC, Spa & Beauty. We also service Professional niches including photography, legal, dental, specialty medical, financial planning, mortages and real estate sales and investment. Let us take care of your online presence so you can tend to your business. This is our purpose. Many owners make the mistake of thinking that they can handle all aspects of their business, but the successful business person delegates tasks to service providers that have his/her best interest in mind. 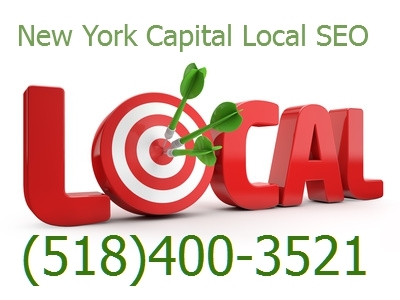 New York Capital Local SEO is well aware that if you don’t make money, we don’t make money! LET US HELP YOUR BUSINESS GROW?